MIAMI – January 24, 2017 – To kick off the New Year in style, Celebrity Cruises is announcing an exclusive partnership with design icon Nate Berkus, naming him Design Ambassador for the brand’s newest class of ships – Edge Class. As Design Ambassador, Berkus will bring his distinctive personality to the launch of Celebrity Edge, hosting a series of Edge Class reveal events alongside Celebrity’s President and CEO Lisa Lutoff-Perlo and Chairman and CEO of Royal Caribbean Cruises Ltd. Richard D. Fain. Designed, and soon to be revealed to the world in 3D, Edge Class will transform the future of cruising. Together, Berkus and Celebrity will share this groundbreaking story in March 2017. A pioneer in the industry, Berkus established his award-winning interior design firm at the age of 24, showcasing an approachable and elevated design philosophy that has transformed countless interiors around the world for more than 20 years. Over and above the interiors he designs, Berkus’ signature style has been carried through to his highly popular product lines which include a home and baby collection sold at Target, a fabric line at Jo-Ann Fabric & Craft Stores, as well as being Artistic Advisor for LG STUDIO. As such, Berkus was a perfect fit to showcase Celebrity’s cutting-edge innovation and breathtaking design on its newest class of ships. Edge Class is Celebrity’s first new ship class in nearly a decade, succeeding the brand’s revolutionary Solstice Class. The company expects delivery of Celebrity Edge in Fall 2018. Celebrity Beyond is scheduled for delivery in Spring 2020, and the third and fourth Edge Class ships in Fall 2021 and Fall 2022, respectively. Celebrity Cruises will continue revealing details throughout 2017 and 2018, inviting guests along the pioneering journey and offering glances of what’s to come in the future of cruising. For more information on Celebrity Cruises, visit celebritycruises.com. 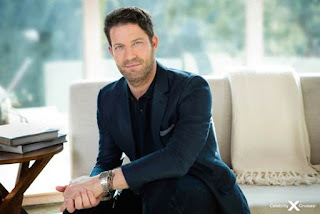 Since designer Nate Berkus established his award-winning interior design firm at the age of 24, his approachable and elevated philosophy has transformed countless homes around the world through his design work, home collections, books, television shows and media appearances. Ever since Berkus’ first appearance on The Oprah Winfrey Show in 2002, he has become one of the world’s most recognizable interior designers. His work has been featured in publications including Architectural Digest, House Beautiful, VOGUE, InStyle, O Magazine, People and ELLE DÉCOR, which included him on their “A-List” of the world’s top designers. His popular product lines include a home and Baby collection sold at Target, a fabric line at JoAnn Fabric & Craft Stores, as well as being Artistic Advisor for LG STUDIO. He has authored two New York Times bestselling books: Home Rules (2005) and The Things That Matter (2012), and in 2011 he served as Executive Producer of the Oscar winning film, The Help. Audiences followed Berkus through his own television shows, the daily-syndicated The Nate Berkus Show and 2014’s American Dream Builders (NBC). Audiences will soon see him on TLC in a new show launching Spring 2017.